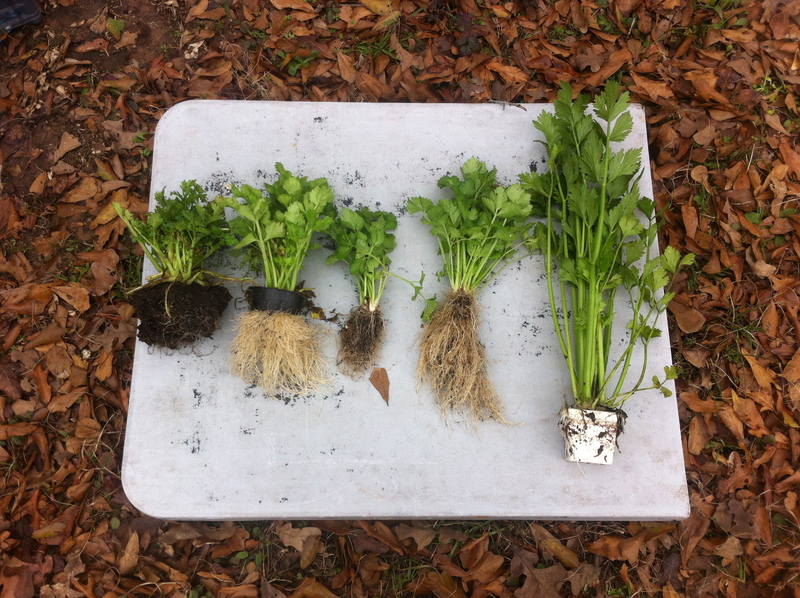 Here is a profile of my different aquaponic grown celery plants and one soil grown. The first celery plant on the left was grown outside in soil in a wicking bed in winter sun. The third plant was in an aquaponic media bed, using ebb and flow, outside in shade all day. The fourth was in an aquaponic media bed, using ebb and flow, outside in winter sun. The fifth one was confined to a 3″ pot in a constant aquaponic flow in a greenhouse. There were many variables that affect the outcomes and all will be discussed at my classes on aquaponics.